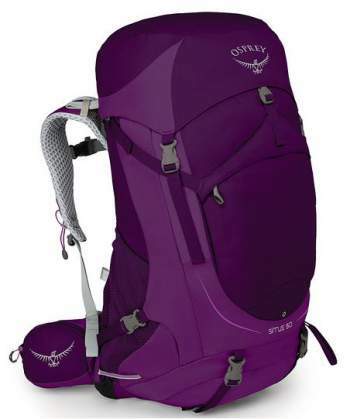 Osprey Sirrus 50 pack – front view. Osprey Sirrus 50 for women is a completely redesigned lightweight backpack launched in 2017. Several essential new features have been added and the pack has been considerably improved. Great suspension system with a fully adjustable harness. Extra entrance to the main compartment. The harness is adjustable, as compared with the fixed harness in the previous version. One external zippered pocket on the lid, as compared to two in the previous version. One large front storage pocket with a buckle on the top. It is absent in the previous model. Two front vertical zippers with pockets, as compared to one in the previous version. Additional side zippered entrance to the main compartment. In the previous version, this was a U-shaped entrance on the front. The new suspension system with an adjustable harness. Sirrus 50 is a great lightweight pack for overnight and weekend hiking and mountaineering tours as well as for lightweight backpacking. This pack is the largest in the Sirrus series which includes the 36 liters and 24 liters pack, both described in this site. With the volume of 50 liters, it weighs only 1.63 kg, and it is designed to carry the load of up to 18 kg. The Sirrus 50 to is a top loading type, and the lid is movable and removable, which makes it different from the smaller pack in the series, Sirrus 36. There are differences here in comparison with the previous model, as mentioned above. In the new version, there is only one zipped top pocket on the lid, and one zippered mesh pocket underneath the lid. The pack is with an extra side zippered entrance, which is quite different from the large U-shaped opening available in the previous version. On the bottom of the pack, you have a separate sleeping bag compartment with its own zippered entrance. The pack is hydration compatible and the water bladder sleeve is in the main compartment. 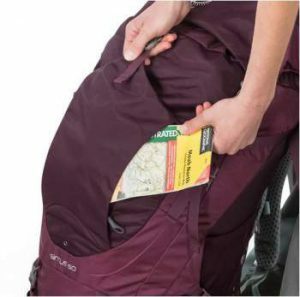 The pack comes with an integrated rain cover, stored in a separate pocket on the bottom. The Sirrus 50 comes in two sizes XS/S and S/M, and this holds for the complete series. Yet, in addition to this, the new version comes with an adjustable harness with a precise fit for any torso length in the range 13 – 17 inches (33 – 43 cm) for the XS/S and 16 – 20 inches (41 – 51 cm) for the S/M size. The suspension is supported by Osprey’s LightWire alloy frame. The padding and the mesh in the suspension system are inspired by the Osprey’s anti-gravity system, as you can realize from the picture. This is what they call AirSpeed system but it is modified in this new series. So this is a very comfortable and ventilated tensioned mesh back panel, and the same structure continues on the hip belt which is almost without seams. To allow the harness moving up and down, first loosen the load lifter straps. Next, slide your hand between the back panel and the harness to release hook and loop attachment. Move the harness into the desired position. Next, press on the back panel to re-engage the hook and loop attachment. Adjustable harness in the new version. This is a women-specific design with a narrower harness as compared with the version for men. Anatomical shoulder straps are designed to fit women’s profile. The hip belt is also shaped and angled to accommodate the difference in women’s hips which are conically shaped and with a larger difference between the waist and hip as compared with men. Dual side compression straps are available, and dual removable compression straps are on the bottom section, for a sleeping pad attachment or for any other piece of equipment. As mentioned above, there is a new front panel storage pocket with a buckle on the top. Dual side mesh stretch pockets are available, as well as dual zippered pockets on the hip belt. 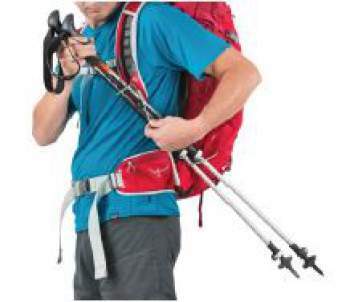 The pack comes with Osprey’s Stow-on-the-Go attachment system for the trekking poles, see the picture above. With this, you can store your poles when you are walking, to have free hands to take a photo or to eat and drink something. For technical hikes, you have a loop and a bungee tie-off for an ice axe attachment. – XS/S: 3.457 lb (1.59 kg). – S/M: 3.582 lb (1.63 kg). – XS/S: 2868 cub in (47 l). – S/M: 3051 cub in (50 l). – XS/S: 24.8 x 12.6 x 13.8 in (63 x 32 x 35 cm). – S/M: 26.8 x 12.6 x 13.8 in (68 x 32 x 35 cm). Carry weight: 40 lb (18 kg). – XS/S: 13 – 17 in (33 – 43 cm). – S/M: 16 – 20 in (41 – 51 cm). – Main: 210D Nylon Crosshatch. – Accent: 420HD Nylon Packcloth. – Bottom: 420HD Nylon Packcloth. Side panel zip access to the main compartment. Zippered sleeping bag compartment with bellowed divider. Sternum strap adjustable and with safety whistle. Zippered slash pocket on the lid. Under the lid zippered mesh pocket. Front panel pleated fabric shove-it pocket. Dual vertical zippered slash pocket on front panel. 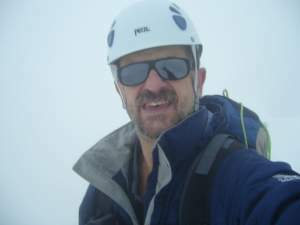 Ice axe loop with bungee tie-off. Obviously, the Sirrus 50 is lighter than its two competitors. But if you look more closely, you will realize this is partly because it comes without extra side zippered pockets, a feature I love to see in any pack. There is also a big difference if you compare the steel frame in the Deuter pack and the light aluminum frame of the Sirrus pack. At the moment of writing this text, the prices for the packs in the table are respectively: $190, 220, 140. So, as you see, as usual Kelty comes with the best price, but the price tag of the Sirrus pack is reasonable. 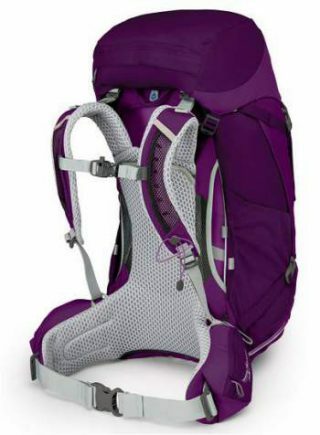 As you realize from the text, the Osprey Sirrus 50 for women pack has been completely redesigned and they could have launched it as a new series. This is an almost perfect pack (yeah, I miss side zippered pockets) and it is hard to find any true objection to it. Though the design is completely new and the time will show how people are going to react on it. As it stands now, it looks really great, with a moderate weight and a reasonable price tag. If this pack is too big for you, I have already mentioned above that there is a smaller pack from the same series, Sirrus 36. As for other backpacking packs for women in the similar size range, please check my list of new series in 2017. Thank you for reading. In the case of questions and comments please use the comment box below. I wish you a pleasant day. Hi ! I am hesitating between buying this new designed Sirrus 50 or the old one with the U-shaped zip. Honestly, I really liked the blue coloured pack, comparing to only purple or black. I was wondering which pack do you think is best, the one with an extra side zippered entrance or the large U-shaped opening? Finally, do you know if the colour inside the black pack, is also black? It seems like a stupid question, but you see more easily the stuff in your pack when it has a bright colour. Hi Carolanne. I do not think that the extra opening is so critical. They have redesigned it to add extra features, like the front storage pocket. The new version is with adjustable harness and with a quite different suspended mesh on the back panel. Your question about the black version makes a lot of sense of course, but I did not have it in hands and cannot say for sure, but I would expect it to be black inside.